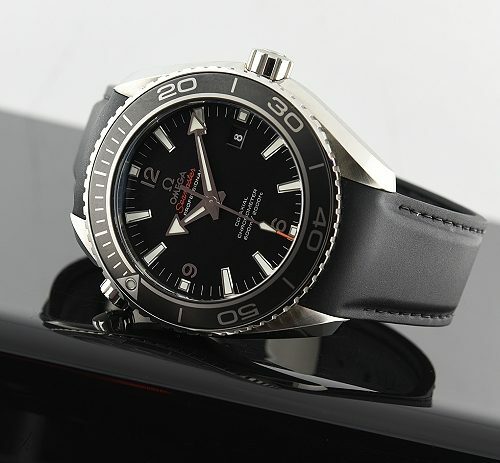 This is a newer (2013) pristine OMEGA PLANET OCEAN dive watch having the famous and fine George Daniels designed cal. 8500 co-axial automatic winding movement. The unidirectional ceramic bezel is mounted on the large 45.5mm. steel case with scratch-resistant sapphire crystal. The watch is water resistant to 2000 feet and includes the original band and signed folding steel OMEGA buckle. The case back is transparent to allow for viewing of this fine movement. 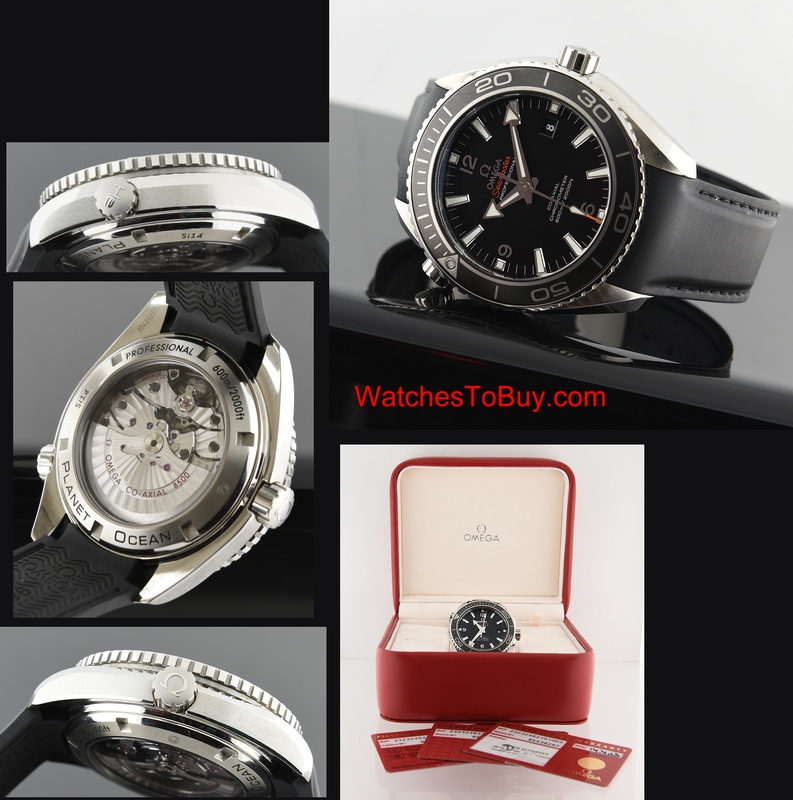 This watch comes to you looking unworn and complete with box and papers.